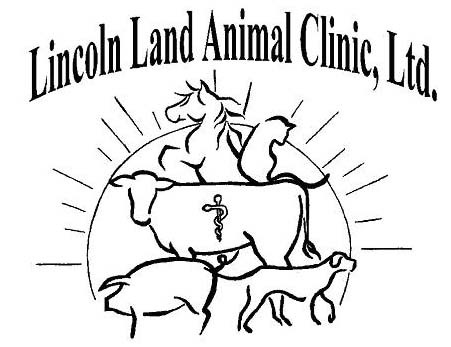 Lincoln Land Animal Clinic, Ltd, Jacksonville, IL. Training services available for all species at any level. Training pets for practical husbandry skills such taking medications, brushing, nail trims as well as for fun tricks. We can work with all ages of humans and a variety of species. Dr. Colleen is a Karen Pryor Academy Graduate as well as having her primary certification in TAGteach. Do you want your dog to walk on a loose leash? How about having your horse step right into the trailer? Can your cat do high fives? Trouble with grooming? Most people typically think of only training dogs and horses. The reality is any animal, of any species can be trained to do anything they are physically capable of doing. We can train cats, birds, dogs, horses, pigs (pot-bellied, guinea or your regular show pigs), sheep, cattle and goats just to name a few. Training can occur at any age. The old adage, "You can't teach and old dog new tricks," is simply not true. Animals can learn at any age. Training is an important addition to environmental enrichment that helps to nurture our pets as they age, as well as your bond with your pet. We offer private training both in your home and at the clinic. In order to set you and your pet up for success, the species and behaviors we are training will determine the best location to train. Why not? Whether training your pet for 4-H, everyday manners, prevention or correction of behavioral problems, just for fun or any other reason, training if done correctly improves the relationship you have with your pet. Our pets are experts at reading our body language and we assume they know more than they do. We get frustrated when we feel they are being stubborn or spiteful. In actuality they really just don't understand what it is that we want at that point in time. Our job is to help bridge this communication gap. Ultimately our goal is for everyone to be successful. This means setting realistic goals and training plans to fit into your lifestyle. The training is customized to fit your unique needs. Please feel free to call or email if you have any questions or concerns. Please watch the following video from Karen Pryor to see what a Karen Pryor Certified Training Partner can do for you.